The Rally Edition comes with some serious upgrades, inside and out. Hot hatchbacks are all the rage these days. 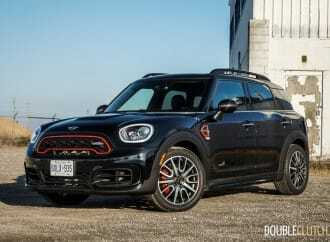 Some people lament the lack of excitement in today’s small sports cars, but there’s good reason to be excited if you’re looking to buy something in the under-$30,000 range. 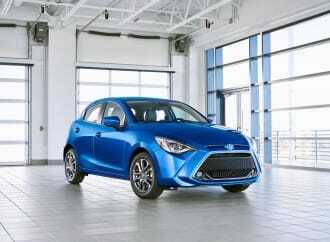 Some of the big players in the segment are the Scion FR-S and Subaru BRZ cousins. 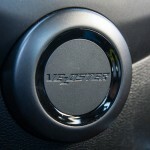 They’ve successfully brought the rear-drive, lightweight, “less is more” philosophy to the masses. 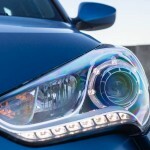 Following the success of the Scion and Subaru, just about everybody has been eager to weigh in with their own hot hatchback, each bringing something unique to the table. 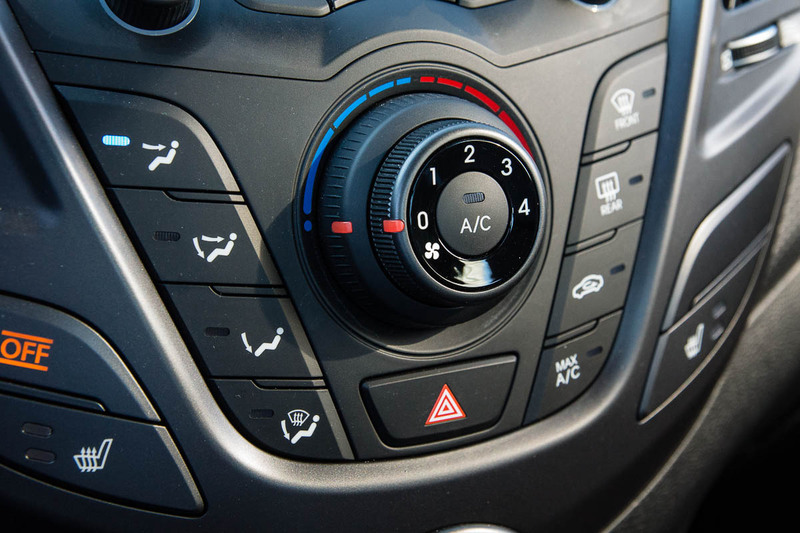 Sales figures don’t tell the whole story – what automakers are after nowadays is the continued hype and community support these cars generate. These cars have spawned vibrant communities, with enthusiastic owners (many of them first-time car buyers) all over the continent. It’s this enthusiasm that should (in theory) continue to drive sales in the future. 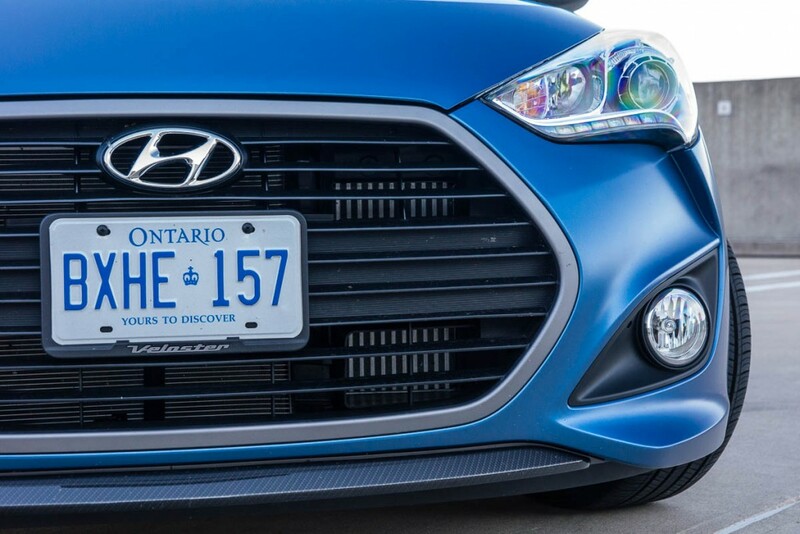 Hyundai is no stranger to sports cars. Little “sporty” cars like the Accent GT served as a decent basis for tinkering, and would go on to receive the full WRC (World Rally) treatment with moderate degrees of success up until Hyundai shelved support in 2003. Later on in the decade, consumers were treated to the Genesis Coupe. Though a little large to be considered a hot hatchback, it still offered rear-drive dynamics, a choice of turbocharged or V6 powertrains, and manual transmissions all around. It was a lot of car for the money, but simply different when compared to the juggernaut that is the FR-S and BRZ. 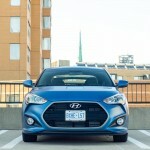 In 2011, Hyundai released the smaller Veloster. We’ve reviewed both the base and Turbo versions in the past, and found them to be funky little city cars. 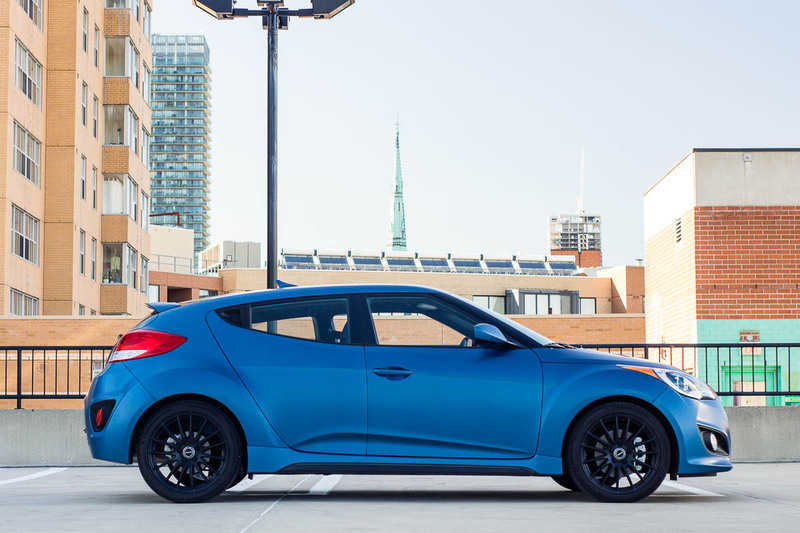 I picked up the key to a Matte Blue 2016 Hyundai Veloster Turbo Rally Edition, to see if the changes stand out more than that nifty matte paint. The first thing everybody notices (and comments on) is the Matte Blue paint. 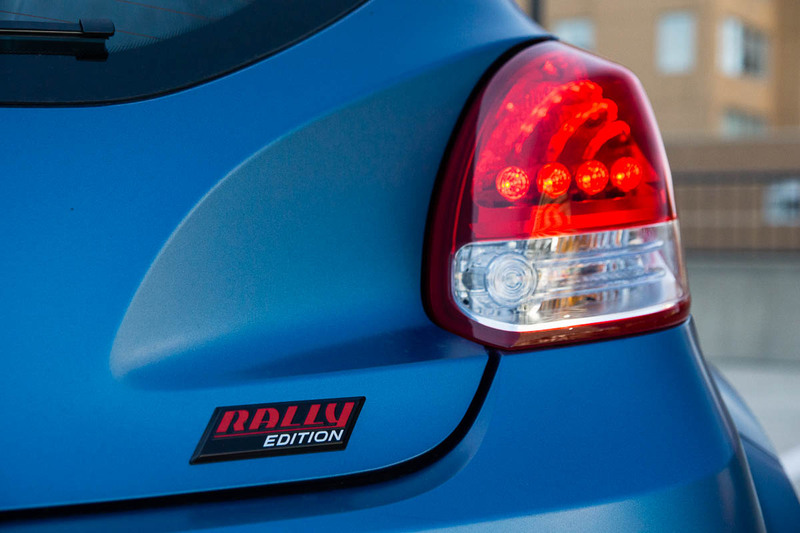 The Rally Edition is available in only the one colour, and is easily the biggest talking point of the car. The finish reflects light in a very different way, and is really cool to look at. 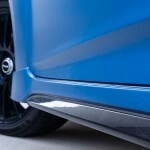 The colour is very reminiscent to the Frozen Blue matte paint on the previous-generation E92 BMW M3 coupe. It’s cool to look at, but it’s extremely important to note the very particular details associated with keeping the finish clean. 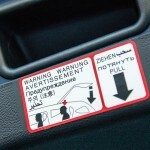 Hyundai includes a separate instruction booklet outlining the instructions for care. 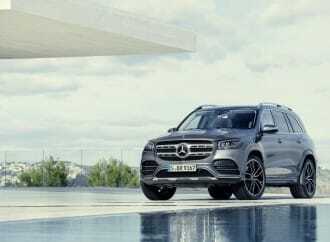 Long story short, you cannot simply just go to an automatic car wash (soft-cloth or touchless), nor can you use standard car wash soaps on the matte finish. Special soaps from specialty retailers are the name of the game, and there are several warnings in bold text about how to hand-clean the paint. 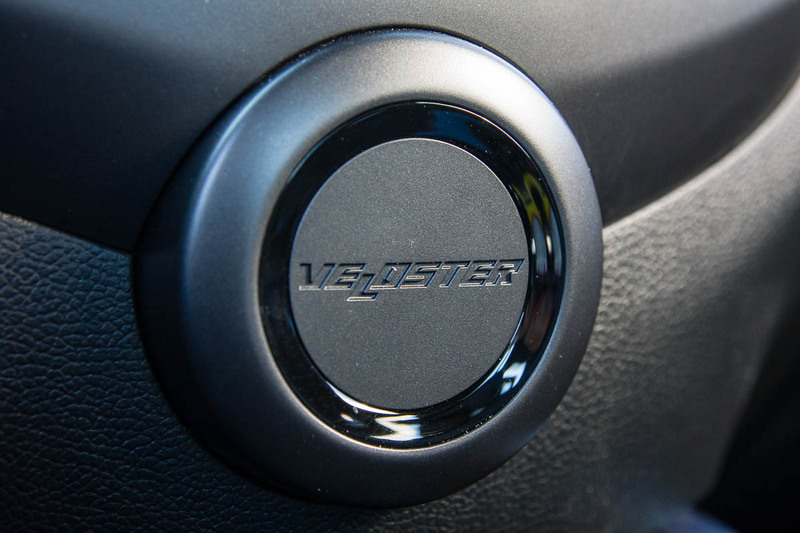 Failure to do this correctly will result in a shiny spot on your matte-finished Veloster. Imagine how much one shiny spot will stand out? I detail all my own cars, because not only do I like to own clean cars, but I like to own cars that are easy to clean. A good layer of wax on the paint and treatments on the glass make quick clean-up possible. 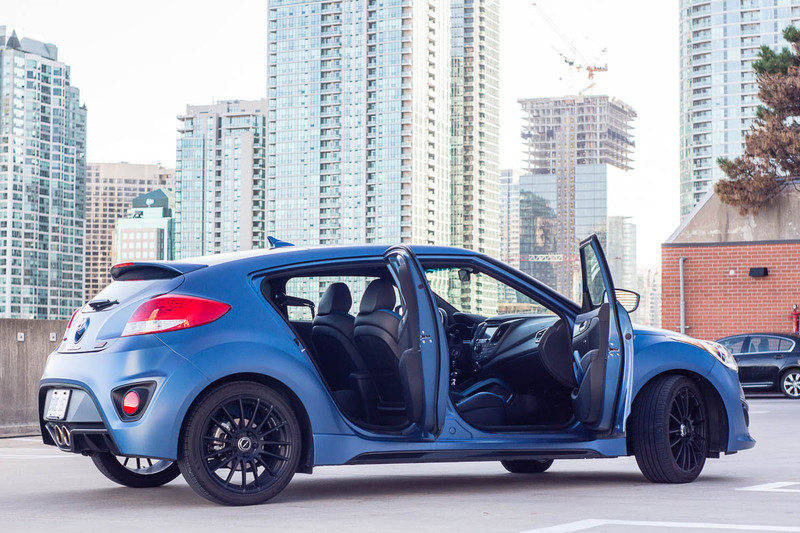 The Veloster Turbo essentially requires a hand wash after every rain storm. I’m not so sure I could deal with that, personally. With the harsh winters we have to deal with around here, the generous use of road salt in the city can’t be good for the matte paint. 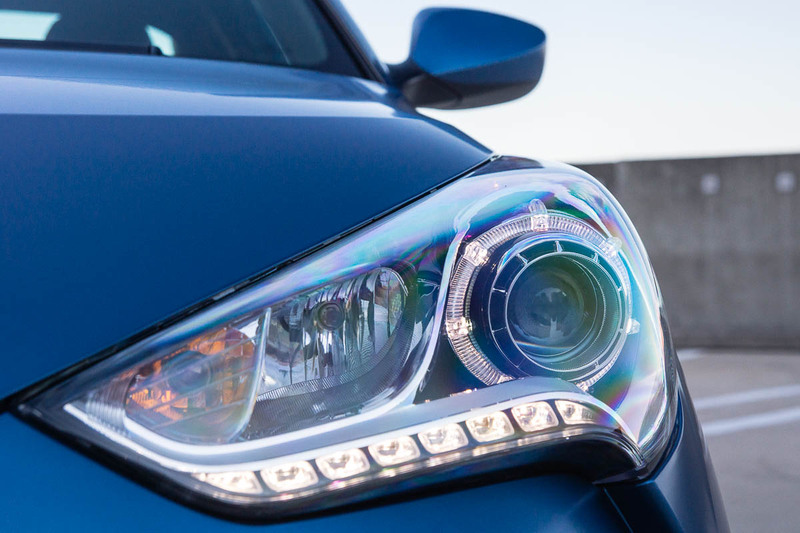 With the elephant in the room aside, the Veloster Turbo Rally Edition comes with some legitimate upgrades, inside and out that are genuinely interesting, to the enthusiast. 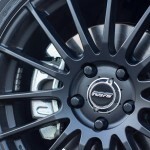 I really like the upgraded 18-inch wheels, supplied by Rays Engineering of Japan. 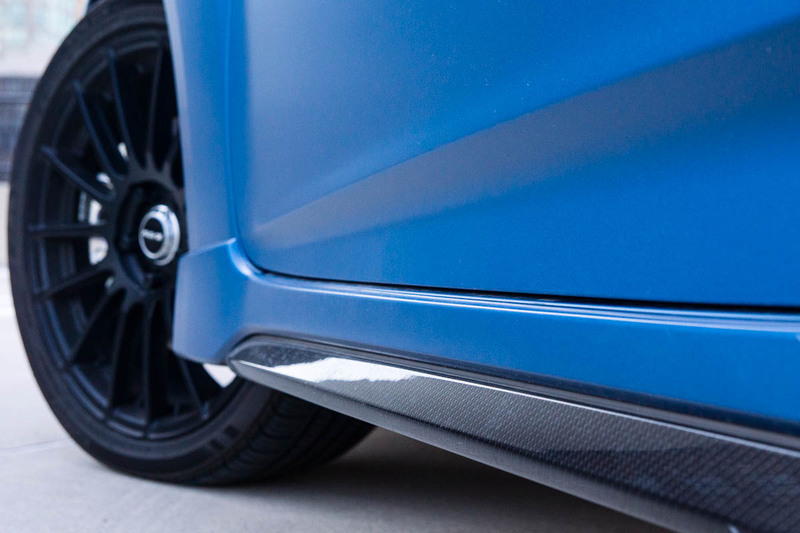 The dark finish compliments the added (imitation) carbon fibre trim all around the car: on the front lip under the bumper, and on the side skirts. Hyundai boasts that each individual Rays wheel on the Rally Edition is five pounds lighter than the default Turbo wheel, reducing unsprung weight – allowing the suspension to do a better job maintaining the tire’s contact with the road. Five pounds may not sound like much, but when it comes to unsprung weight, each and every gram counts. To further add to the legitimate performance improvements in the Rally Edition, there are higher spring rates and up-level dampers to go with the stiffer springs. What impresses me even more are the larger stabilizer bars at both axles. 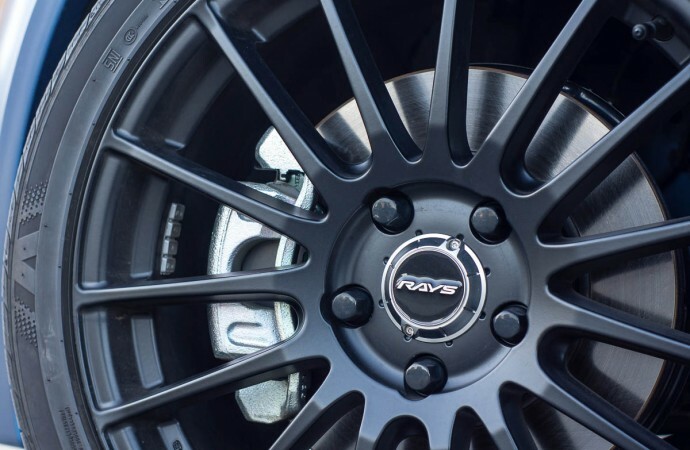 Turn-in is almost immediate, but overall grip is still let down by the low rolling-resistance all-season tires mounted on the fancy Rays wheels. 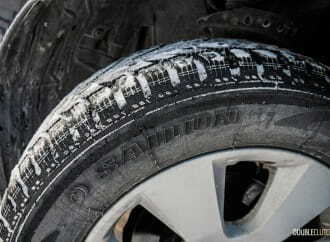 Dedicated summer tires would really wake this car up some more. 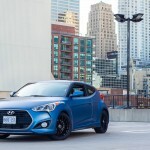 Overall, the Veloster Turbo Rally Edition provides better handling feel than in the standard Turbo model, but the ride remains fairly supple and not overly stiff. 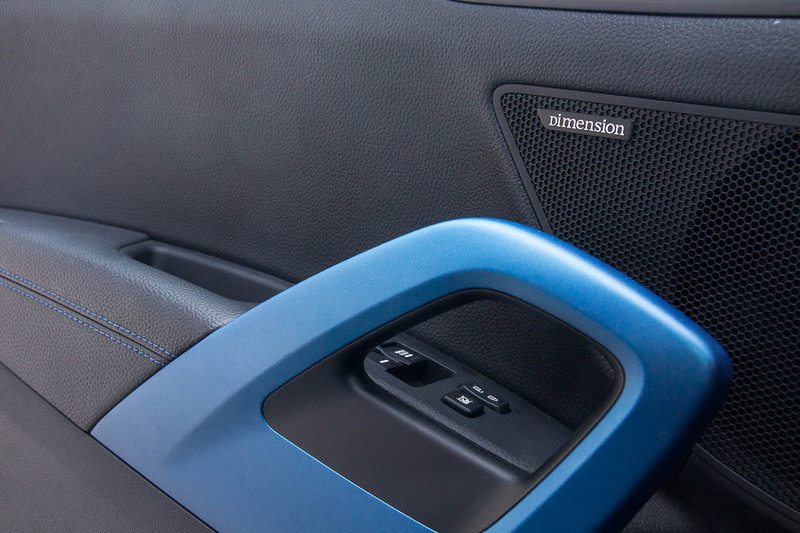 Inside, the matte blue exterior is complimented by a bunch of matte blue interior bits, like on the funky door and grab handles, and the blue leather accents on the seats. 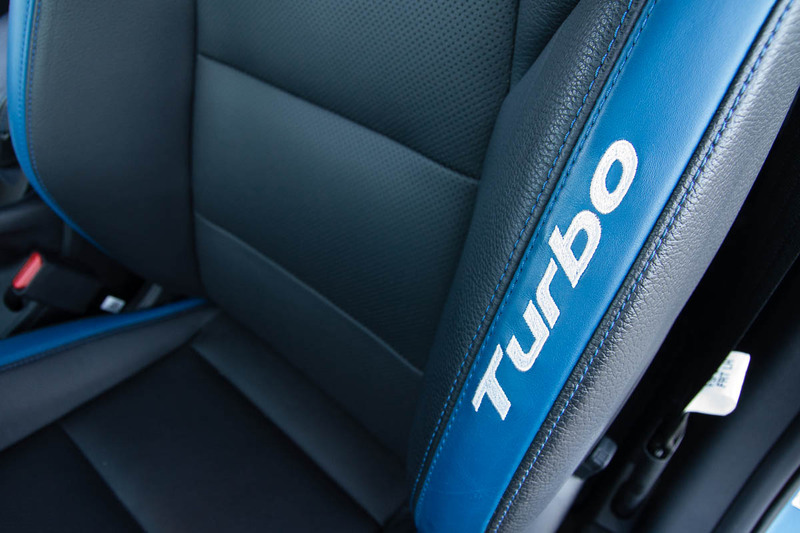 I like the big “TURBO” badging on the seats – it reminds a little of the 1980s, where anything with a “Turbo” badge was cool. 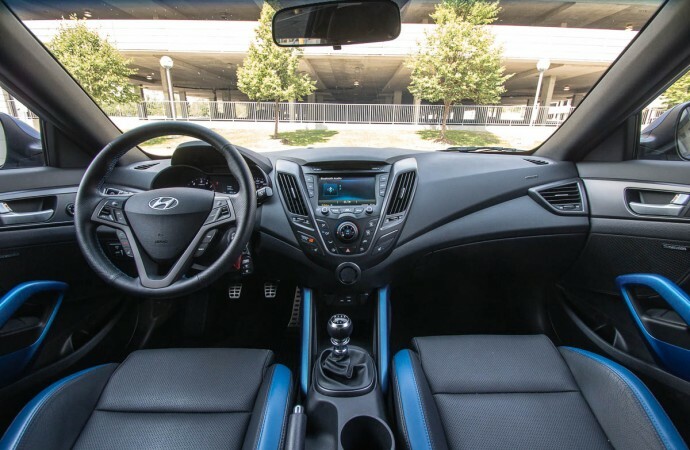 Otherwise, the interior is standard-issue from the Veloster. 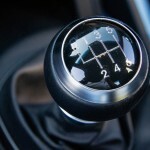 Hyundai has also gone ahead and upgraded the shifter to a B&M Racing unit. Not just a new knob, the shifter itself is shorter, and it feels like the bushings that house the linkage are also upgraded. 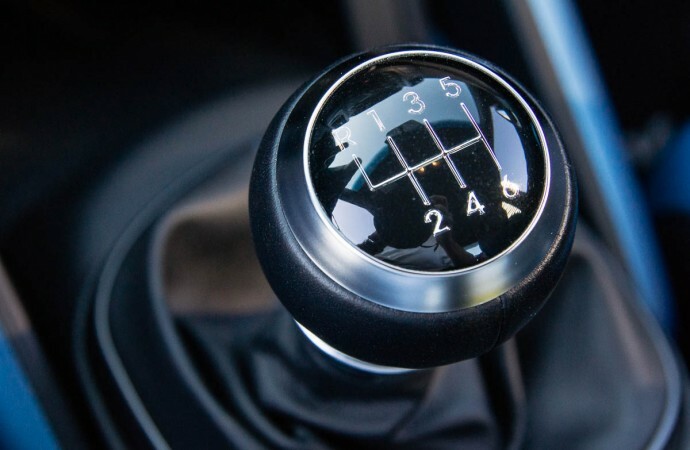 Shift feel is fantastic, with short throws and a very precise feel, although it requires slightly higher effort to select a gear. The shifter is one of my favourite items on this car. The Rally Edition is equipped somewhat strangely. 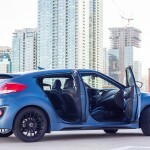 The excellent panoramic sunroof that the standard Veloster Turbo gets is conspicuously absent. 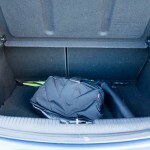 The payback here is improved headroom for taller drivers as well as added rigidity. 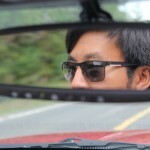 Forward visibility from the driver’s seat is decent enough, but over-the-shoulder blindspot visibility is quite poor, as is rearward visibility. Thankfully, the reverse camera helps you see items behind you that would otherwise be blocked. 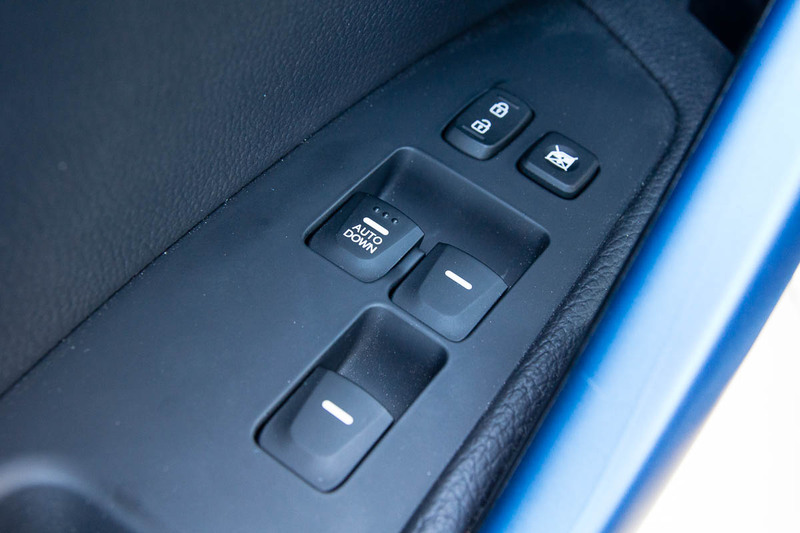 Push-button start is also missing, leaving you with a somewhat dated-looking key and remote module (two separate pieces) that looks more appropriate on a Hyundai of ten years ago. 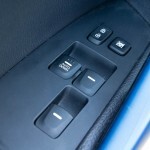 The push-button start should really be standard – its location at the bottom of the centre console stack totally fits right in with the rest of the car’s funky style. Hot hatchbacks should be able to do a lot of things well, like providing as many smiles as possible for the least amount of money. Secondary to that is to be able to swallow up some people and cargo, in a pinch. 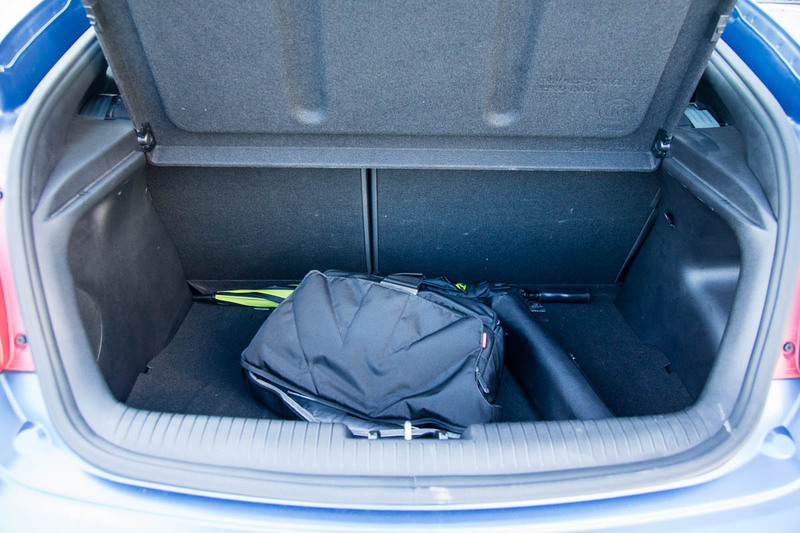 Cars like the Volkswagen GTI do a great job balancing both these attributes, thanks to the squared-off cargo section. 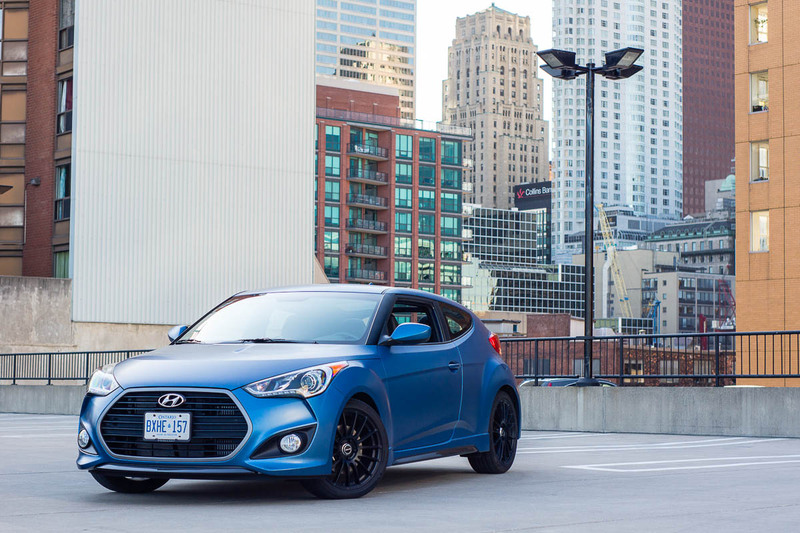 The Veloster, with its fastback (more of a Kammback design) shape, cuts into the usable space for styling’s sake. Tall second row occupants need to exercise caution, as the hatch drops enough to almost touch your head when it’s closed. 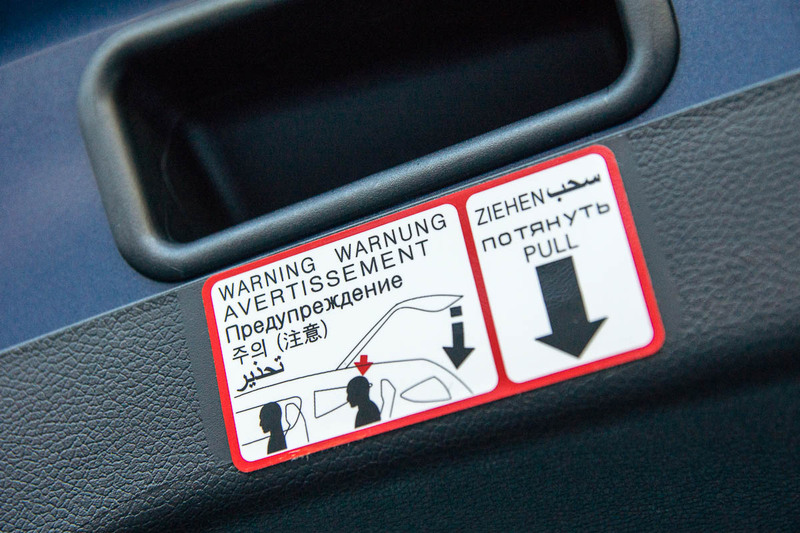 Hyundai even provides a warning sticker (in several languages) about using caution when closing the trunk while people are sitting in the second row. 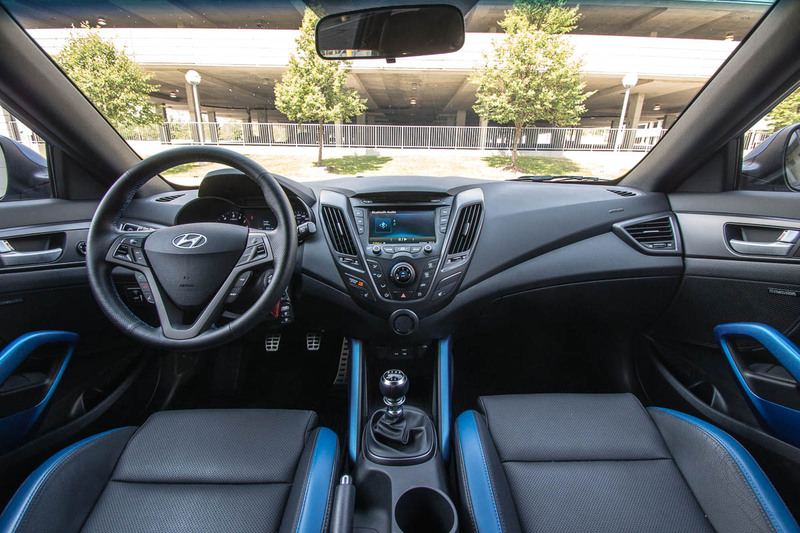 It’s also worth noting the Veloster is a 2+2 coupe, meaning there are only two seatbelts in the second row. The big bonus, however, is the three door design. The passenger side (and only the passenger side) features a smaller door that greatly eases ingress and egress to and from the second row. 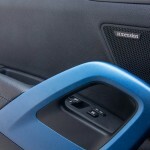 Instead of having to contort one’s self to get squeeze in between the front seats, the third door is welcome relief. 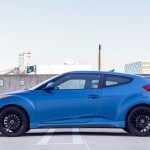 The Veloster originally debuted with a single engine: a naturally-aspirated 132-horse 1.6L gasoline four-cylinder engine. It was economical, but was a poor match for the funky styling. 2012 added forced induction by way of a turbocharger, boosting power to a much more appropriate 201 horsepower (at 6000rpm). More importantly, torque is rated at a healthy 195 lb-ft of torque at a useful 1750rpm. This direct-injected and intercooled engine is the only one available in the Rally Edition. Considering all the cosmetic and suspension upgrades, it’s a little disappointing to see the powertrain hasn’t been touched. 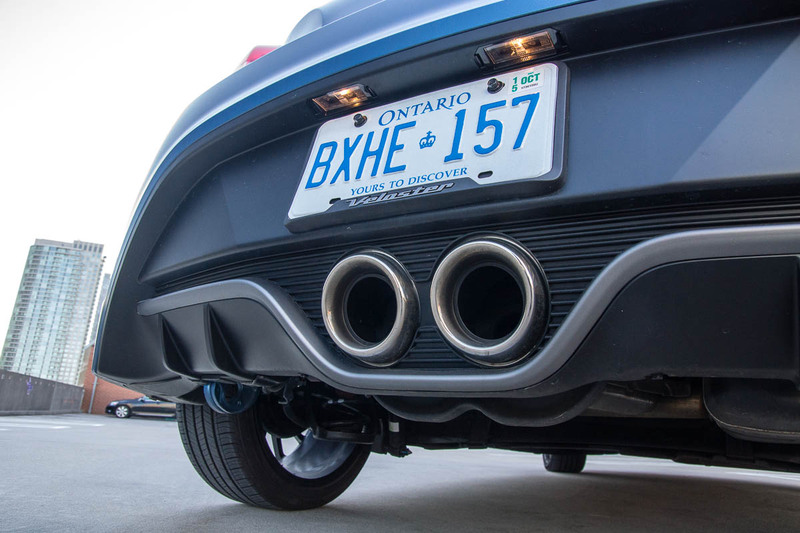 The exhaust remains untouched as well – a little more bark to go with the matte paint would have been nice. I find the intercooler location interesting – it’s a front-mounted intercooler, but it stands vertical in the big grille, instead of in the traditional horizontal orientation. 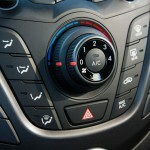 The Veloster Rally Edition is only available with a six-speed manual transmission. 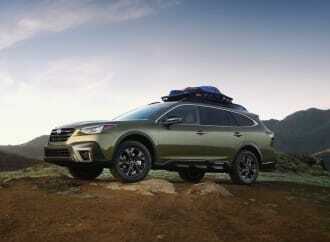 A brake-based electronic limited slip differential helps better deliver that power to the ground. 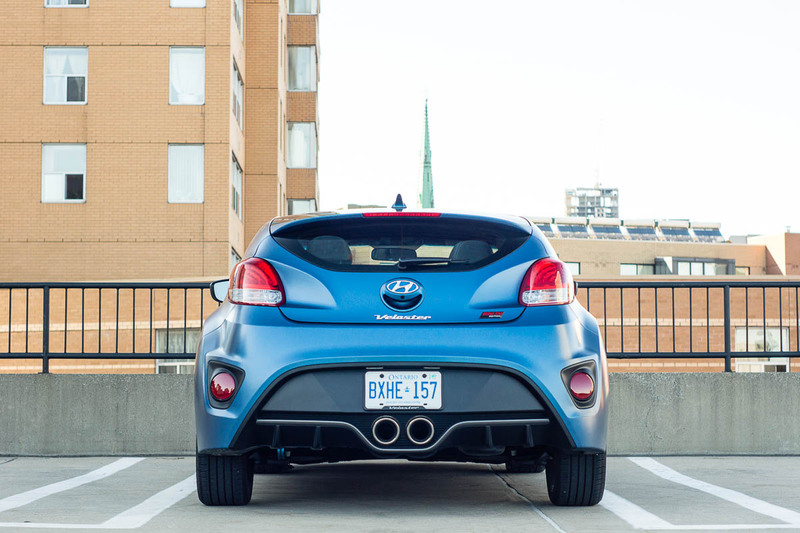 The turbocharged 1.6L engine in the Veloster Rally Edition is versatile for everyday use, providing ample torque output at just about any engine speed. 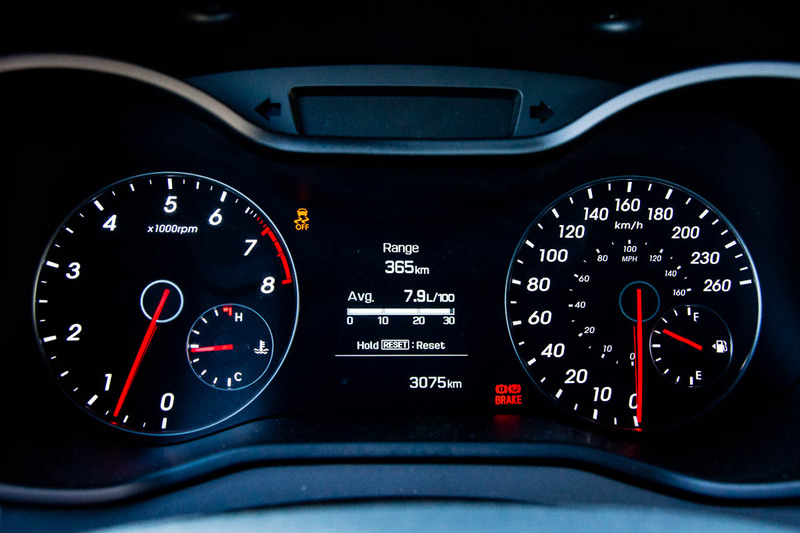 The twin-scroll turbo breathes well, meaning turbo lag is only a very minor thing. 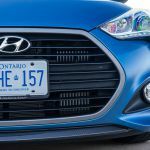 The 201hp is competitive in the rest of the segment, on paper, but in subjective terms, it lacks a little bit of the urgency seen in the Ford Fiesta ST, which also packs a turbocharged 1.6L four-cylinder engine. The Veloster Turbo makes some nifty turbo noises from time to time (you’ll need the windows lowered to hear them), but it doesn’t sound as raucous as some of its competitors. A little more drama wouldn’t be out of place, here. 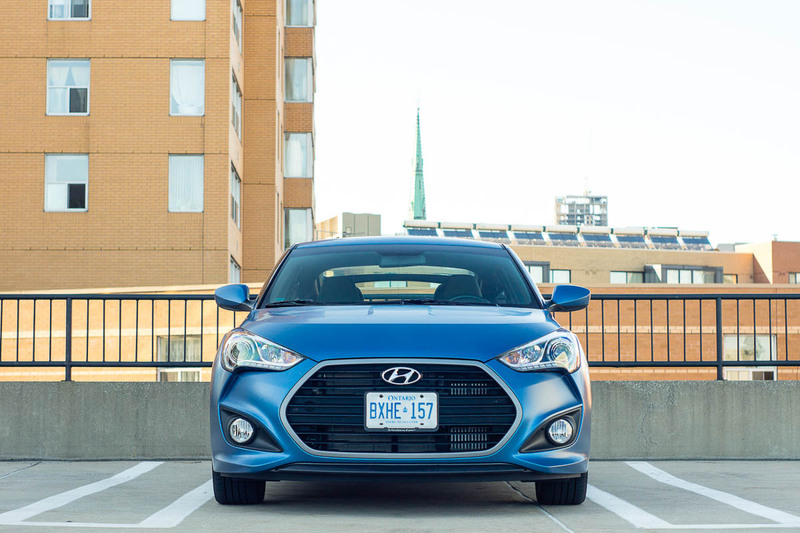 Hyundai rates the Veloster Turbo Rally Edition at 9.4L/100km in the city, 7.0L/100km on the highway, and 8.3L/100km in a combined cycle – the last of which matched the number I ended up with at the end of the week. 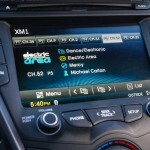 The Veloster will accept 50L of regular 87 octane fuel. 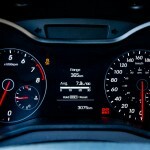 This is worth mentioning, as most of its peers ask for premium fuel. 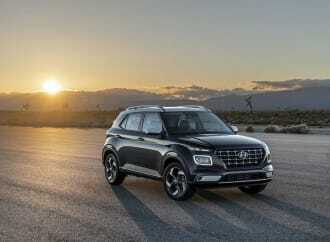 Perhaps Hyundai’s engineers could have tuned the engine for a little more output, and join the masses suggesting premium fuel as a starting point. 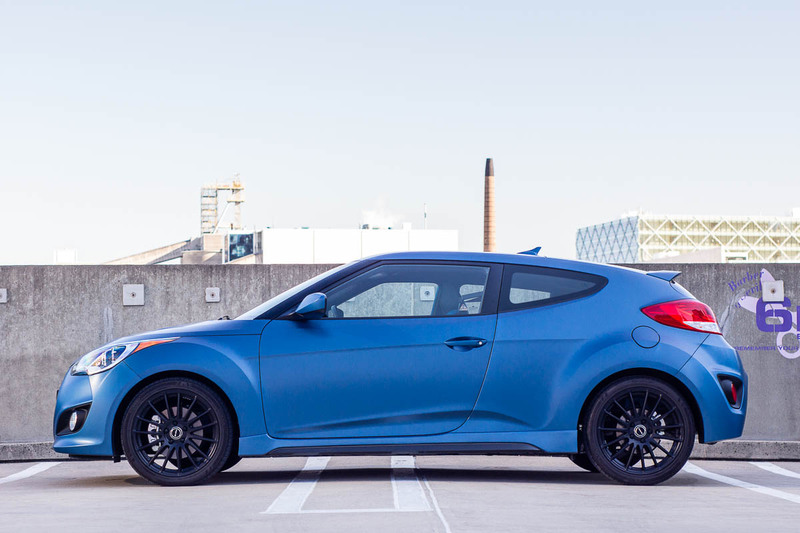 The pricing of the Veloster Turbo Rally Edition really puts it right into the thick of the compact hot hatchback segment. $26,999 is the price for entry, and there aren’t any additional factory options available. The Subaru BRZ starts at $27,395, the Civic Si starts at $26,850, and the hot little Ford Fiesta ST is just over $23,000 in its base trim. Each of the aforementioned choices bring something unique to the table. The FR-S offers its lightweight rear-drive balance, the Civic Si has the four-door sedan option available, and the Fiesta ST is one of the best definitions around when it comes to today’s hot hatchback. It all depends on the kind of experience you’re after – the fact that there are so many flavours available is a great thing for enthusiasts. 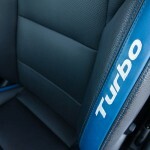 That previous sentence leads into my conclusions of the Veloster Turbo Rally Edition. 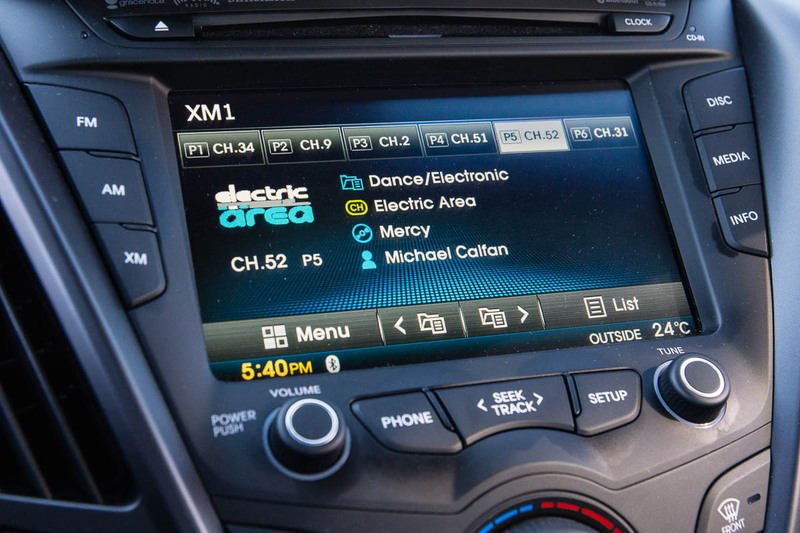 I love the dynamics of the BRZ, but I also love the everyday usability provided by the Civic Si (I prefer the sedan), and the hatchback practicality of the Fiesta ST. 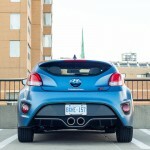 The Veloster Turbo Rally Edition doesn’t quite fit into either of those classifications. It has the funkiest styling (if its look is what you’re into), and the matte paint really does turn heads… though you may be constantly answering questions on whether the finish is a vinyl wrap or Plastidip. To some, the uniqueness is worth the additional work required. 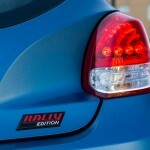 The specific upgrades associated with the Rally Edition are very welcome and legitimately improve the feel of the car. If only Hyundai could transfer this hardware to the standard Veloster Turbo (with its standard clear-coat paint), then they’ll have an even more competitive product on their hands. It’s simply a tough segment of fun vehicles to be in. If you’re into the polarizing look provided by the Veloster, the unique Rally Edition cranks that funky feel up to eleven, and gives you some nice hardware goodies as a bonus.